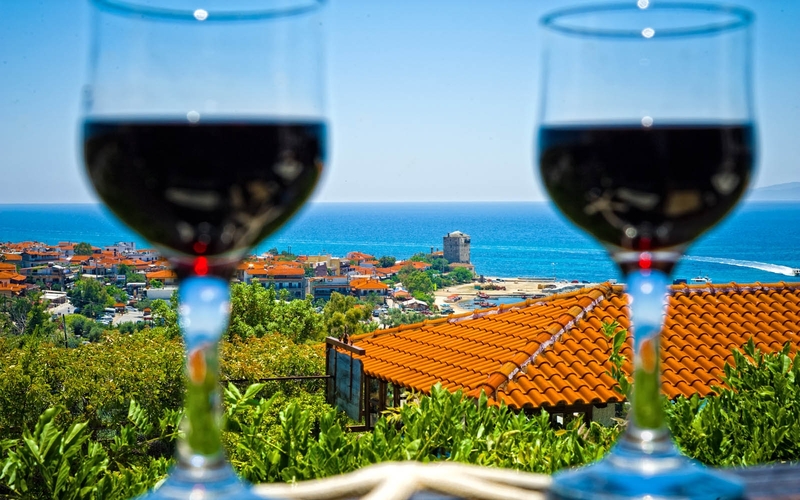 Enjoy your drink with a marvellous view ! 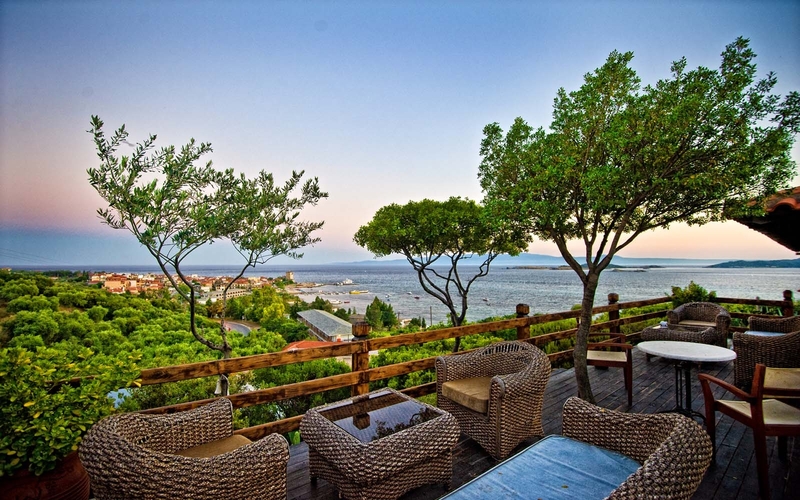 Our balcony with its marvellous sea view in addition with the traditional view of the Tower of Ouranoupolis filling with colors all the area ensure for you great memories and relaxation ! 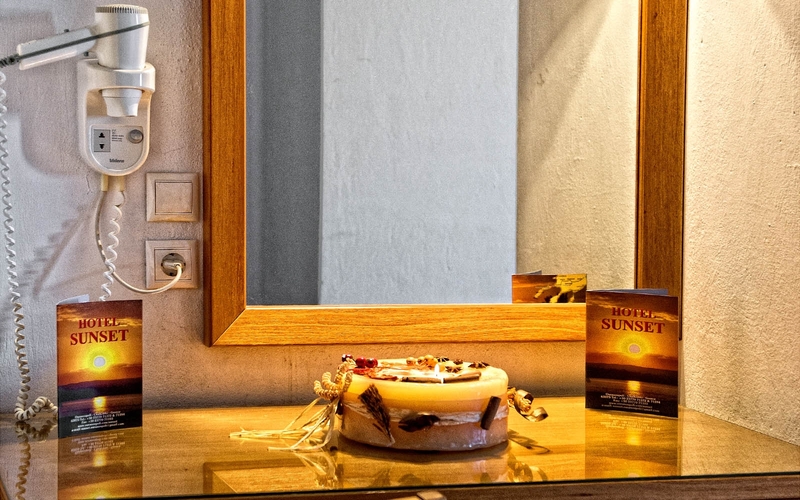 We welcome you to our hotel Sunset Ouranoupolis ! 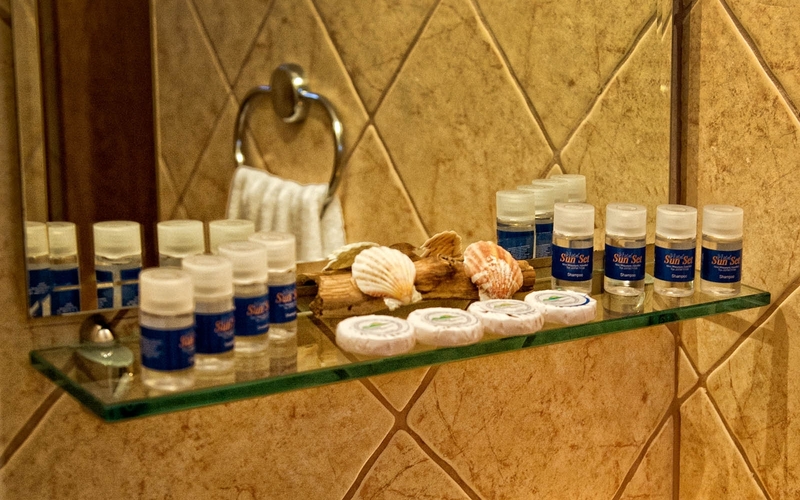 Hotel Manager and staff ensure you for best holidays with unforgettable memories and relaxation ! 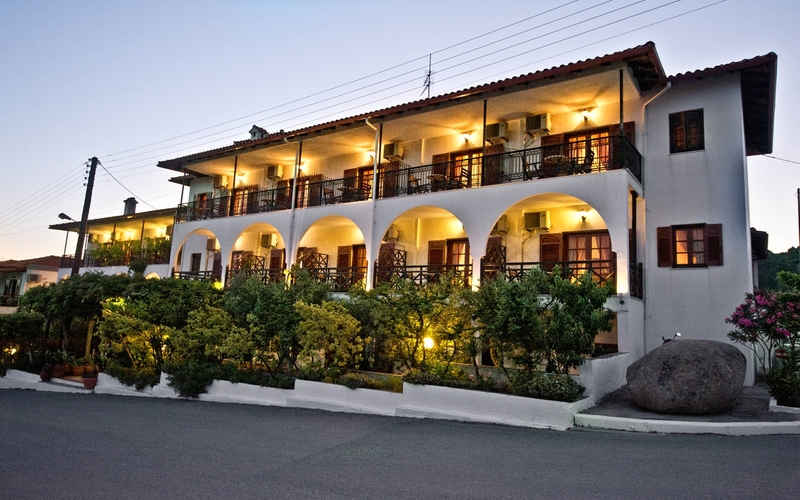 The Sunset Hotel in Ouranoupolis ! One option that will satisfy even the most demanding guests ! We take care for your personal attention ! 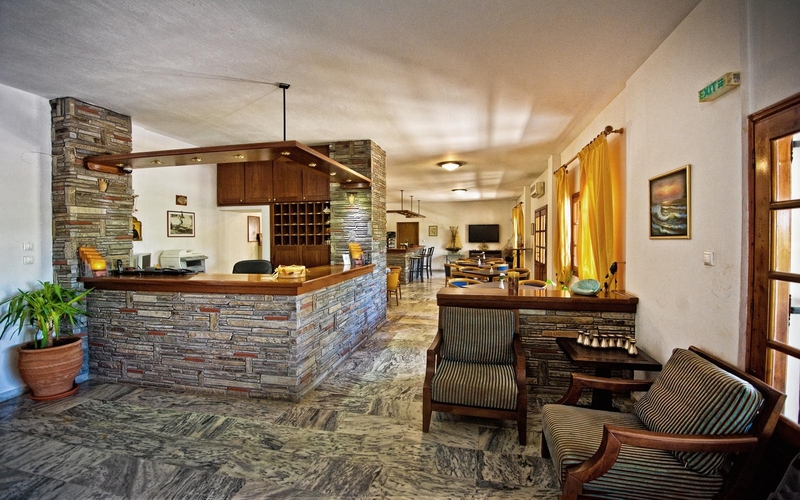 The family run hotel SUNSET (sunset) is located in the new settlement of Ouranoupoli in Halkidiki. 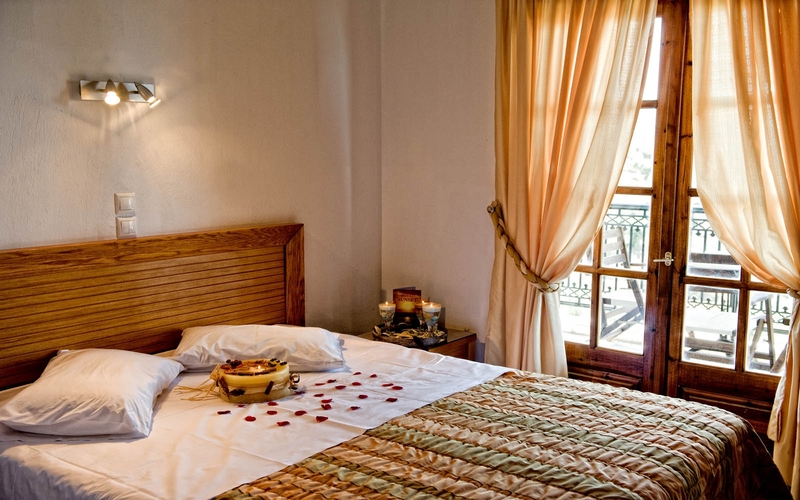 Built in an idyllic location, it is surrounded by beautiful gardens and offers spectacular views of the sea, the village, the islands and the first mountains of Mount Athos. 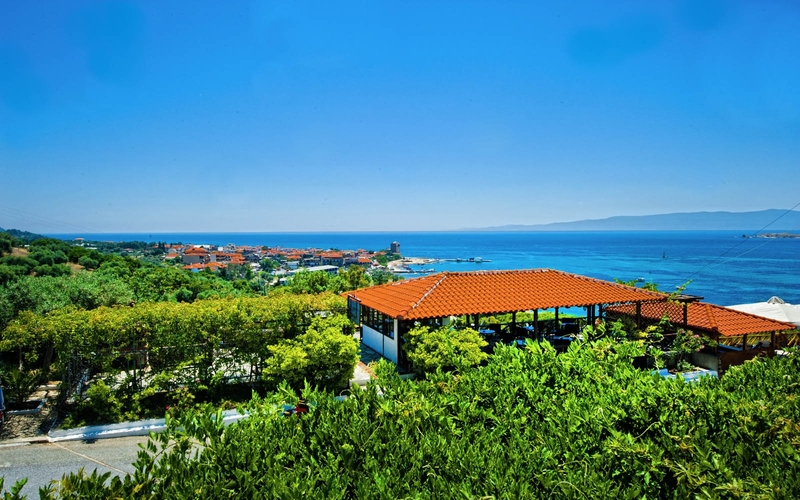 Indulge in the panoramic outdoor Bar of the hotel and relax with views of the endless blue sky and sea. Inhale the sweet scent of flowers and start your vacation enjoying a coffee or a drink in the wild greenery. 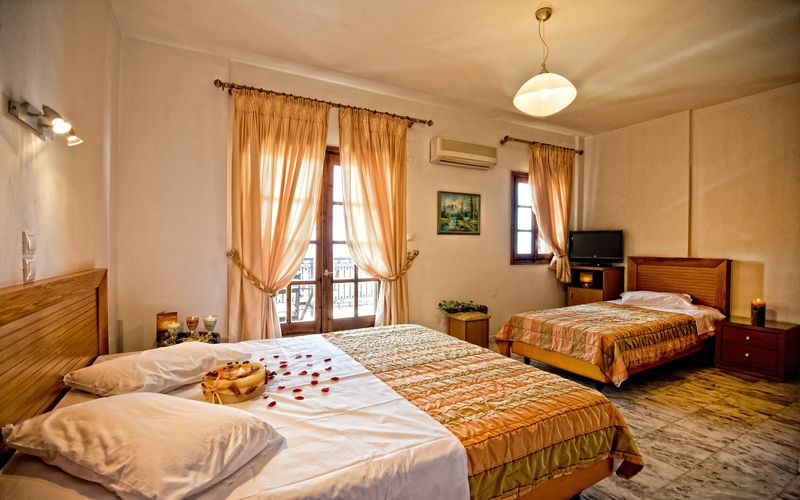 The rooms are clean, very tastefully furnished, with a bathroom, TV, telephone, refrigerator, safe, hairdryer and a balcony with magnificent sea views. The hosts are always available and happy to inform you about the local places of interest and the monasteries of Mount Athos, which are worth visiting. Our services include Fax, free internet, and our own free parking. 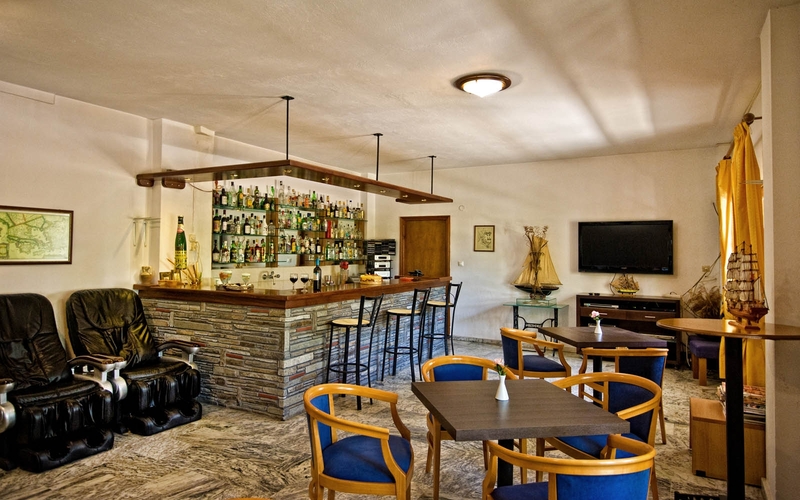 In the spacious dinning room you will enjoy our generous breakfast and in the lounge-Bar there is Satellite TV for watching any sporting events, news, movies, or just enjoy a drink. In the evening, when the black velvet night succeeds the orange hues of the sky, the reflection of the moon draws its own shiny path on the calm sea. This is when you realise that you found the right place for your vacation. 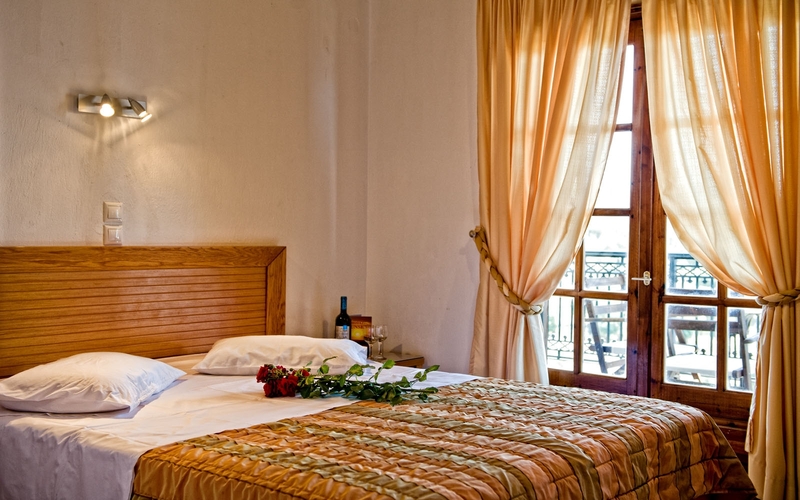 In the city of Heaven, Ouranoupoli in the SUNSET HOTEL (sunset).